The Mambo Max 3-in-1 foam roller combines 3 different foam rollers in one package. Thanks to its smooth surface, the outer part is perfect for a superficial massage. The second part has grooves which can be used for a deeper massage and to exercise higher pressure on a trigger point. Finally, with the inner massage stick it’s possible to put more pressure on sore muscles to improve blood circulation and the muscles’ recovery time. This last item is available as a separate product too: The Mambo Max Massage Stick. Massage rollers are used to put pressure on the muscles’ triggerpoints and to loosen the tension in the muscles. Trigger points are often the cause of different pains. 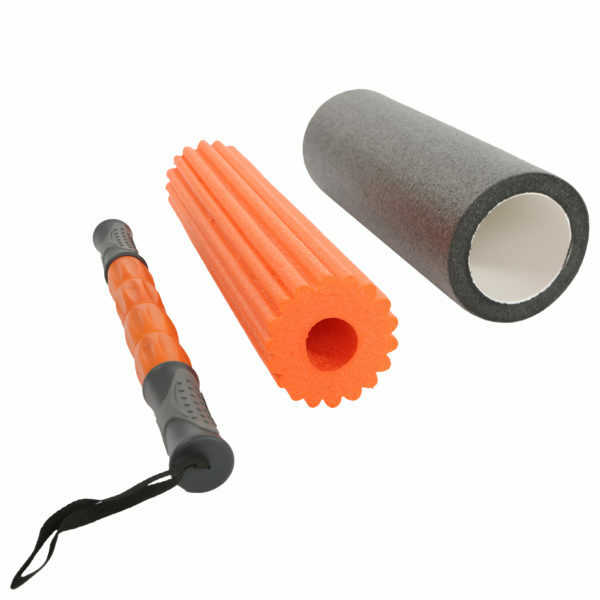 You can find all our foam rollers here.